Egypt is considered one of the most important tourist destinations all around the world and it should be on the travelers’ to- go lists because of its magical Giza Pyramids complex, the great Sphinx, its stunning temples & tombs in both Luxor and Aswan, in addition to the staggering monuments that you can head to while spending a vacation in the land of Pharaohs. 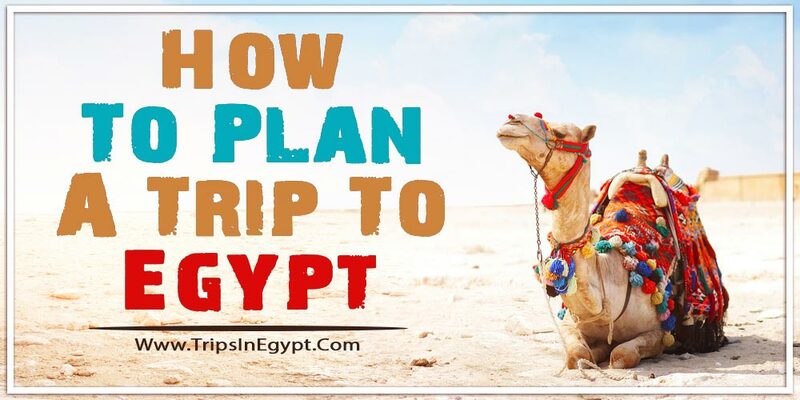 our article ” How to Plan A Trip to Egypt” provides you with the best places in Egypt you shouldn’t miss them and some of Egypt travel tips when visiting Egypt, So keep reading. 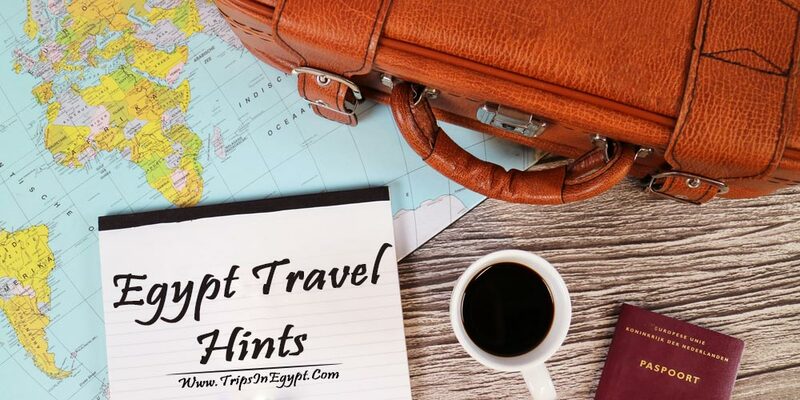 You must have a specific tour itinerary to your trip in Egypt as if you don’t have one, you might miss a lot of places that you should visit without even realizing that. For example, a tour to Cairo should be on the first day of your tour itinerary after the day of your arrival. It is a truly necessary matter to head to Giza Pyramids complex to visit one of the Seven Wonders of the world with the majestic Sphinx, and the ancient mummification & the Purification valley there. You will also have to put on your plan a visit to the Egyptian museum which includes more than 120,000 unique monuments, statues, artifacts that you can’t miss during your visit to Egypt. If you are in love with the religious attractions either the Islamic or the Coptic ones, then you should visit some of the following attractions including Salah El-Din Citadel, the amazing Mohamed Ali mosque, the Hanging Church, El-Refai mosque, Ben Ezra Synagogue, in addition to paying a visit to the largest open-air market, which is called Khan El-Khalili bazaar. You will find there all of the Egyptian artifacts with some beautiful souvenirs, some perfumes & spices, and a lot of things that you definitely will need to check. In Luxor, there are a wide variety of landmarks that you can visit including the gorgeous temple of Queen Hatshepsut on the west bank in addition to the hypnotic Valley of the Kings that includes a number of Kings’ tombs including king Ramesses II & Tutankhamun and of course you will want to visit Colossi of Memnon, which are two massive stone statues that survived from the mortuary temple of Amenhotep III. In the East bank of Luxor, you will be so lucky to visit the two majestic temples there. One of them is called “Karnak Temple” and it includes inside three terrific temples and the other one is “Luxor Temple” that witnessed a lot of the ancient religious rituals. In Aswan, there are a lot of breathtaking highlights that you will get so thrilled upon visiting them including Abu Simbel temples, the High Dam, the Unfinished Obelisk, and Philae temple and that is not all as you may want to head to Kom Ombo & Edfu temples which are considered two of the most spectacular highlights in Aswan. You can also head to Alexandria, the bride of the Mediterranean Sea, where you can enjoy the best historical landmarks including Alexandria Library that consists of some majestic pharaonic, Roman, and Greek artifacts besides having the ability to visit Qaitbey citadel, which was one of the most important forts. Pompey’s Pillar and the Catacombs are also two popular tourist sightseeing that presents real concepts of uniqueness and singularity. If you want to have fun and relax a little bit, then the Egyptian coastal beaches will be the best choice for you after your visits to the historical destinations in Egypt and among those sites, you can visit Hurghada, which is mainly known with its terrific weather, gorgeous coral reefs, and majestic sandy beaches in addition to some other coastal sites including Marsa Alam, El-Gouna, Sharm. So you shouldn’t miss such tours through the best Egypt vacation packages, which will allow you to discover all of the mentioned destinations in Egypt with the most reasonable prices and in a totally professional way. So you won’t need to be rushed at any part of your tour. It is your adventure and you really deserve to enjoy every part of it. 1- If you want to get a taxi to transfer you from a place to another, let the hotel receptionist pick one for you as they have assigned taxi drivers and they know everything about them. But if you want to depend on yourself in everything and get a taxi by yourself, you must do two things. First, you have to tell the hotel about all of your plans, the places you are planning to go to, and the exact time you want to get back to the hotel so that if you got lost or something like that, it gets easier for them to find you, Second, you must have a GPS with you in order to know where you are exactly and where the taxi driver is heading to. 2- You need to put in mind that Egypt is mainly a Muslim country and you need to respect their faith so if you would like to visit some Islamic attractions in Egypt, you need to wear proper clothes and you shouldn’t kiss your partner in public, and finally try to be more conservative in your attitude as it will help you a lot during your tour. 3- If you want to know Egypt, don’t only rely on books & photos because those who relied only on books before, have left Egypt very disappointed as they didn’t get what they actually believed. Egypt has some majestic tourist sites and unparallel culture and you have to know that things change over time and Egypt in pictures is somehow different from reality so all of what you have to put in mind is that you will get really amazed after visiting the ancient & modern landmarks which represent the true meaning of uniqueness. 4- Don’t try to travel to Egypt by yourself without planning a trip with a travel agency or even without reserving your rooms at a hotel as you will get so lost upon your arrival and you may get accommodation at a truly unpleasant 4 or ever 3* hotels which will be completely away from your expectation. So, in order to secure your stay in Egypt and to guarantee that you visit the majority of the best attractions in Egypt, try to choose a good travel agency, which will take care of all of your domestic flights, hotel accommodations, private transfers, and all of the related issues just like “Trips in Egypt”, which is known with organizing the best tours inside Egypt with the best possible services and the most affordable prices. 5- If you would like to cross-roads in Egypt, keep in mind that Egyptians drive on the right and pay special care while being in Cairo as it is much busier than the other Egyptian countries. 6- Drink a lot of water as it is easy to get dehydrated while touring Egypt, so try to always carry a bottle of water with you and keep buying other bottles during your tours, they are cheap and you also have to put in mind that you should never drink from the tap water as it is not safe at all. 7- Try to say “Shokran” to anyone who offers help to you not “Thank you” as they will truly appreciate it and keep in mind that tips aren’t obligatory in Egypt at all so it is all about you and if someone asks you for tips or something like that doesn’t say “Emshi”, which means “go away” as they consider it a matter of insult, just try to show him some respect and don’t pay him anything if you don’t want to. 8- If you felt that someone tries to follow you or even keeps being too pushy, try to tell tourist police wherever you are as you will find them everywhere, ready to help you anytime you need help and they will deal with that person. 9- Make sure that you carry Egyptian currency with you, which is the Egyptian pound as the majority of the Egyptian stores deal with the Egyptian currency or even to be able to enter some tourist sites. If you forgot to transfer your money at home, don’t worry as you will be able to transfer your money at the airport and it is easy and more helpful. For example, the USD has much more value in the Egyptian pound in Egypt than any other country. You can also hold a credit card with you if you don’t like holding a lot of cash with you. 10- Make sure that you carry a small Aid-Kit with you that holds your all of your medicine and some safety pins, plasters and so. If you carry medicine, make sure that you carry prescriptions from your doctor with the exact titles of your medicine so that you don’t have any problem at the airport with your luggage inspection. 11- Don’t carry all of your eggs on one basket, which means that you need to keep your money away from the sight and put your Egyptian pounds together so that it gets easier for you to buy the things you need without getting confused. 12- Avoid high heels upon you tours to the Egyptian sights and wear comfortable footwear in order not getting tired as you will have to walk for long distances and you may not find your high heel suitable on the Egyptian streets at all. 13- While visiting the Egyptian historical sites, you have to respect the rules of the place you are visiting, for example, when you visit an Egyptian Mosque, you have to take your shoes off, and if you were required not to use a flashlight upon visiting the Egyptian monuments, then don’t. There is a reason behind this as the flashlight may cause serious damage to some artifacts so for some places, it is totally forbidden. 14- If you have too much baggage with you, try not to hold all of them while visiting the Egyptian sites and just leave them at your hotel. Many hotels in Egypt offer such services. a- 5 days Nile cruise from Luxor to Aswan to visit the East & the West banks of Luxor with a unique visit to the multiple attractions in Aswan. b- 4 days Nile cruise from Aswan to Luxor and they also allow you to visit the notable landmarks of Aswan with some of the best-chosen highlights of Luxor. Ps. You should know that if you are traveling with a travel agency, there are some optional tours you can go for at your trip and the most common among them is a tour to Abu Simbel temples, which were built by the most famous pharaoh Ramesses II, and those temples are truly masterpieces and your visit won’t be complete without them. The most interesting thing about Egypt is its varied climate which gives you the opportunity to choose the best time for you to travel to Egypt as in winter, it is not so cold and it gets pretty warm during the daytime which enables you to tour around Egypt & spend your Egypt Christmas tours and this is truly a special thing to be done to change your routine. From December till February, it is considered the best period to travel to Egypt in and during spring, you’ll have the chance to witness some marvelous Easter holidays in Egypt as, during that period, Egypt becomes alive with the entire magical breeze of the wind, calling tourists to come and enjoy in its land. 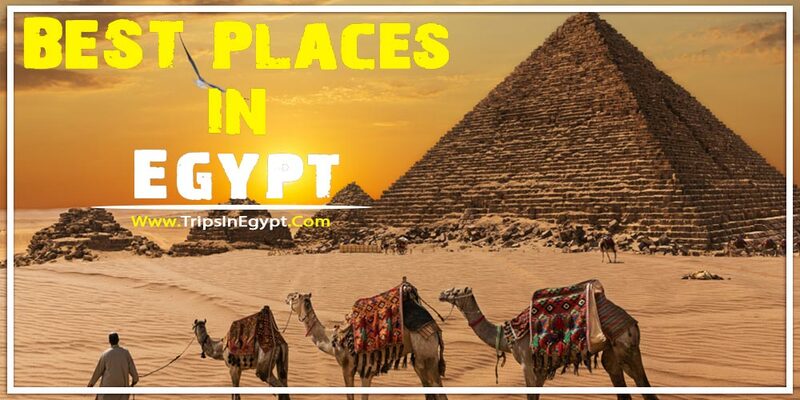 It gets so hot in summer and it is not a wise choice to start a trip to Egypt during that season as the weather gets pretty hot during daytime and temperature reaches 40 degrees Celsius in dusty, which makes touring Egypt is an unbearable matter. Egypt is known with its cheap stores, great historical sites, and its stupendous markets, which allows you to visit all the great monuments left by the ancient pharaohs and also buy some souvenirs & take beautiful pictures to commemorate your visit.